This month we welcome Romance (M.I.A. 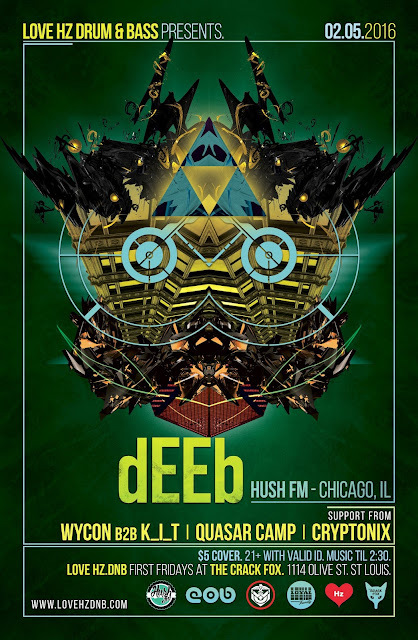 Drum & Bass - Chicago) for his Love Hz appearance in St. Louis. 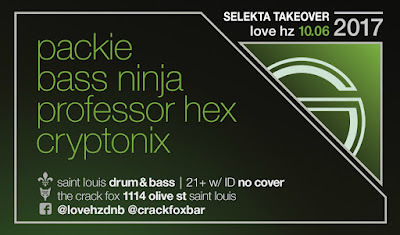 Get ready for Chicago footwork meets drum & bass flavor. 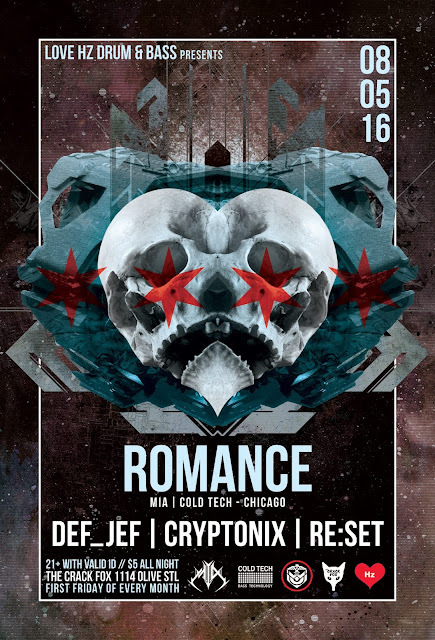 Support from Def_Jef, Cryptonix, and Re:Set with his Love Hz debut.